Stories abound in the press about charities. Many are critical. The stories I find most memorable are those focused on financial scandals, governance or data failings and where the high profile casualties don’t do much to change the tone of the conversation. Perhaps they’re memorable because they make me so angry. Yesterday I read headlines about Help For Heroes and alleged data mishandling (denied by the charity). Today I’ve read a rangy opinion piece in the FT about charities and how a Whitehall insider ‘agrees’ they are ‘murky’. And of course, the coverage of Kids Company continues, including the BBC documentary aired last week. Of course I know that ‘Charity Does A Good Job’ and ‘No Governance Concerns At Charity’ are not juicy headlines, but what I take from all of this is that it seems that most people writing (and reading?) about charities don’t actually know much about charities, about the reality of running a charity, working in a charity, or receiving services or support from a charity. As Chief Exec of a local charity, I spend the majority of my time balancing governance, strategic direction, financial management, relationship management (a LOT of relationship management), understanding policy changes (including the devastating implications of local public sector budget cuts), and ensuring that the work we do is of high quality. As a charity which turns over just over half a million this is a challenge. But we are rightly held to high standards, and we all embrace that. But it has to be proportional. We support hundreds of people both directly and through our hundreds of volunteers – and we do it well and we do it safely. Because we are local, we know what people want and need, and we’re in a position to give it. However, my experience is that we are held to higher standards than our public sector funders themselves. We are also beholden to their timescales, we are subject to the whims of any given decision-making body who may not feel like deciding on matters that are critical to us and the people we support – mostly due to small p political manoeuvring. We are working hard to move away from a situation where we are wedged in like this, and that means raising more money in donations, legacies and sponsorship. Telling our stories and asking for support. This is hard when the prevailing media noise is negative, and when it tars all charities with the same brush. We have about as much in common with AgeUK national (£174.6m 2014), Kids Company (£15.7m 2013), or Help For Heroes (£28.9m 2014) as we do with other businesses that turn over that amount of money each year. We have more in common with the local cafe that values its staff and customers, that buys from local producers and takes pride in the quality of its food. We have the same struggles and have the same trouble getting our voices heard. The FT did get one thing right in its opinion piece about charities. The statement from Bernard Jenkins that “It is the role of trustees, not the regulator, to ensure that a charity is well run.” is spot on. A significant part of my job is to make sure that I have the right skills on the Board of Trustees, that they understand their legal obligations, that they have induction, training and access to networks that help them grow in that role. I work hard to create a culture of openness in the organisation from top to bottom, accepting constructive challenge and striving to always do better. In my experience, the majority of small, especially local or community charities do this every single day. You just don’t hear about it. Number one: consolidate your blogs. In 2011 I spent a lot of enjoyable time working on a project called DataBridge. This was an exploration of open data and its potential for the voluntary sector. I worked with OCSI, Brighton & Hove CVSF and colleagues within Brighton & Hove City Council to explore some of the issues and possibilities. OCSI and myself worked with 6 groups within the BRighton community & voluntary sector to see how they used data, how they potentially could use data, and what were some of the barriers to them doing so. Over the course of March to October (and a little bit beyond) I wrote 30+ blogs on the topic of the project, the policy around open data, some of the resources and useful information that is out there for us. Life is moving on apace (quite literally, with the ever-growing bump between me and my keyboard), and it seems the nesting instinct is driving me to tidy my on-line life as well as my physical life in preparation for our new arrival. All the blogs and resources created throughout the year in DataBridge are now archived on this blog and can be found here: https://joivens.wordpress.com/databridge/ This is still an issue I follow with interest, if not so much active engagement in 2012 onwards, so feel free to get in touch @jo_ivens. It’s more than a year since I posted here. So, why the hiatus and why bother to come back here at this point? Well, I changed jobs – completely – and sort of lost my voice. I fell into the classic trap of ‘there’s so much of everything, I don’t know where to start’, added to ‘I’m new in this job and I don’t want to expose my ignorance or say something I’ll regret’, plus ‘perhaps I shouldn’t be airing this stuff in public’ and, finally, ‘I don’t know the answers’. Result? A year of an incredible journey in terms of learning and change, all relatively unrecorded. I don’t feel particularly happy about that, but maybe I can salvage something from the void… and maybe even get going again. First, brief context: I worked as a consultant for most of 2011 after I left Cabinet Office. I had fun, I got to do interesting stuff with lots of smart and inspiring people. I got to delve into open data, data sharing and did some cool stuff with maps. I also spent a lot of time working in coffee shops and playing ‘hunt the wifi’ around towns and cities. At the end of 2011 I landed the job of Chief Exec of Brighton & Hove Impetus (a job which is completely mis-titled as it implies there is more than one executive of whom to be the chief, but never mind). Being the boss of a small charity always makes me think of the chief cook and bottle washer expression that my mother used to use. I am literally in charge of everything from budgets and business planning to bulbs and break-downs. I kind of like that. I am a control freak, incredibly nosy and just like things to work properly. However, it has also lead to a lot of stress, which I haven’t always handled amazingly. Anyway, here are a few reflections, and maybe a way to help me carry on with this blog. Running a small organisation is what I love. I always knew that being part of a team, working in the charity sector and generally trying to make things better were what makes me tick, but I didn’t quite realise how very much I’d missed the collegiate nature of working in a small organisation until I was back there. I’ve always loved organisational development and much of my experience is in relatively small organisations, so the opportunity to be at the helm of one and have the influence and opportunity to put it all together was really exciting. I went in to my new role thinking I wouldn’t change much, but very soon discovered that for me to be happy about the quality of what we did and the way we operated, much would have to change. I made the mistake of thinking I could get much of it done quickly and that tasks would be fairly discrete. I couldn’t and they weren’t. This is partly, in a small organisation, because most people are part time – this doesn’t just mean they have less time, it means that everything takes many times as long because people often aren’t in the same room together from one week to the next. This is a really practical barrier, not only to getting stuff done, but to culture change too. With hindsight I would have prioritised the changes I wanted to make differently, been clearer with colleagues about why these changes were necessary, and how this helped improve the overall picture. The reason I didn’t is that I didn’t have that clarity myself at the time. I’m not sure whether waiting until I did and *then* making those changes would have helped, or whether it would have meant I missed my window. People and attitudes are the most important thing. However, what I have learned is that the moaners are always louder than those who feel ok about something, or who think it’s a good idea but aren’t *quite* there yet, who just don’t want to go against what seems to be the grain, or who don’t think their opinion is important. I didn’t recognise all the positive signs when they were there as we went through 2012. Maybe it’s the one-by-one approach that’s helped me get the organisation on the way to where I want it to be, or the nurture-those-who-support-you approach, or the I-know-this-is-the-right-thing-and-I’m-sticking-to-it approach, or perhaps it was all three. In any case, I believe we’re getting there. There is so much you can’t control, so focus on what you can. I spent a huge amount of time in 2012 being utterly enraged and frustrated at the changes being made by the current government. At one point I had to stop reading the newspapers as I’d be getting so apoplectic with anger on the bus I was arriving at the office in completely the wrong frame of mind. There is very little that I can personally do about the car crash that is the current government’s attitude towards the most vulnerable in our society and the untruths they tell to support their policies. But the organisation I run does need to be in the best place it can be to help pick up the pieces and to weather the storm of this recession. My responsibility is to make sure that as an organisation we are as robust as we can be, that our services are of excellent quality, that we are well-informed about the impact of national policy change on our service users so we can respond to their needs, that we look after our staff and volunteers so we retain as much expertise as we can, and that we are always looking for what we can do better, both internally and externally. I hope this isn’t too general and obvious, it’s not really for anyone else but me in any case (! ), although you’re all welcome to comment. Here’s my blog resolution for 2013: take an element of what you’re focusing on in your work life and post about it. Don’t try and fix the whole universe, or have the answers to everything. Just reflect on the challenge at hand. I’ve just seen The Argus article about Brighton & Hove’s Intelligent Commissioning programme, criticising work done to reform the way the City decides what it spends its money on. To me it’s a very one sided article, and makes a very common mistake. Commissioning refers to the whole cycle of understanding needs, deciding how to respond to those needs, deciding who should provide the service, and assessing how effective it is. The diagram to the left shows this neatly (thanks to Leeds Voice). It’s not just about saving money – it’s about doing things better, targeting scarce resources more effectively, and involving all agencies or organisations that might have knowledge about needs and ideas about improvements in the decision-making. It’s about creating a better way of working, using all the expertise we have in the City. Central Government policy for a number of years, Labour and Coalition, has to been to open up the delivery of services. So it might be that a charity, or a social enterprise, or a private company runs the service rather than the council. This has been happening for years with waste disposal, for example, and many youth and children’s services are run by charities. So its unfair to equate the Intelligent Commissioning programme exclusively with outsourcing. It certainly is fair to ask questions about progress on Intelligent Commissioning though, and indeed since the change of administration the pace of progress has been slow. But the programme has pretty broad support in the voluntary and community sector in Brighton. This is partly because it gives us the opportunity to compete to run services for our beneficiaries, but also because it gives us a voice in decisions about how to respond to local needs. This is really important, especially at a time when so many in communities are struggling. I believe that we should be working with public sector partners to drive and contribute to positive change. The consultation questions are unclear, convoluted and somehow simultaneously too specific and too vague. So, this response below brings together the key issues from the DataBridge project, my own policy and practice experience within the voluntary sector, and wider conversations within Brighton about becoming and Open Data City. Overall I am supportive of the principle of open data and believe that there is much to be gained by published more and different types of data from central and local government. I also believe there are big opportunities to bring together engagement & participation work with data, including open data. Open data does not automatically equate to transparency or accountability. Open data does not automatically result in improved services. It is a means to an end. Open data in its raw form is not accessible for the majority of people – therefore careful thought about what is published, in what format, to what end and to what audience. We need to make better use of the data we have – and in some cases, support people to do so. A signposting and support resource would be exceptionally useful here. Stimulating commercial markets is different to stimulating social markets. How can government support social innovation and public service improvement uses of open data? Resource it: Obviously. Funding ‘front-runners’, linking with organisations like the Nominet Trust to enable public sector and third sector to test out their ideas – with strong emphasis on evaluation. Develop work such a NESTA’s Make It Local. Structural/policy levers: use ability to set the policy landscape to proactively stimulate the market for social/public service improvement uses of open data. E.g. Additional question: How can government support the voluntary, community and social enterprise sector to make the most of open data? Commission a resource that both identifies (signposts) existing data sources, and provides support to users on how to make effective use of the data to underpin funding bids, demonstrate impact etc. This would support policies on devolving power to communities, in particular the Community Right to Buy, Community Right to Challenge, Neighbourhood Planning and Participatory Budgeting. 2. Open data does not automatically equate to transparency or accountability. Open data does not automatically result in improved services. It is a means to an end. Simply publishing swathes of data will not, alone, result in transparency or accountability – the vast majority of people will not be able to use data as it is, and relying on ‘people who can’ to translate, interpret and share the data more widely is likely to be patchy, biased and focused on a specific interest rather than an overall objective view. There will be a tiny percentage of ‘the people who can’ that will be motivated to use open data to hold government to account. This can be part of your accountability strategy, but not the sum total of it. Open data could indeed enable better research, greater innovation and stimulate public service improvement but this may not happen simply through the publication of an increased amount of information alone, even if in machine-readable format. The evidence from open data services at national and local level is that there is little impact as yet on mainstream public service delivery. Unless the benefits for local agencies and services to publish their data can be better demonstrated and supported, the risk is that open data becomes identified as a duty, and not seen as providing a benefit. The evidence from small-scale pilot projects such as the NESTA Make It Localwork is useful in “banging the drum” for open data, but more could be done to demonstrate the benefits in practical terms. Different stimuli will be needed to ensure that open data can help produce public service improvement, as well as the transparency and commercial opportunities which have been focused on. See bullets under point 1. In addition there needs to be a really clear understanding of what government means when it talks about open data and accountability – including the limitations of this approach. 3. Open data in its raw form is not accessible for the majority of people – therefore careful thought about what is published, in what format, to what end and to what audience. Presentation matters. Being clear about why you are publishing data matters.Data users are important. The emphasis on getting large quantities of data out into the open is welcome, with notable successes being the spending data. However, there is a relatively small audience for raw data (for example, VCS groups are unlikely to be direct users of JSON or other open-format data), and it is not a given that the energies of commercial developers will go into providing tools for public service providers and/ or commissioners. One group that should be better engaged in the open data process is “data users”, by which we mean those public (e.g. economic development teams), commercial (e.g. research organisations), academic and third sector groups who are primary users of data and information for improving services. These groups provide a critical link in the chain from raw data through to service improvement– and would be able to provide additional useful input into what information exists, what is useful, and how it can be used. Open data is often touted as a no-cost solution. However although technical costs are low for publishing and hosting datasets, this radically underestimates total costs. For example, the US www.data.gov service reportedly costs $4M per year1, and when assessing the burden of collecting data, the LGA estimated LAs were in many cases spending more than £1M per year on collecting monitoring and regulatory data to report to central government2. In other words, data is not free, even if the technology to disseminate it is effectively free. Local Authorities and other public bodies are under immense financial pressure, so may struggle to prioritise releasing open data. The same is true in central government. From my experience working in one central government department, data will be held in hundreds of different ways, in hundreds of different formats, by hundreds of different people (who will also be constantly changing). The time and effort required to collate this information and ensure that it can be kept up to date is absolutely massive. Again, priorities will need to be set, and careful thought given to what is published and why before this can be tackled. Opening up data from other public service-providing organisations. For VCS there is a big challenge around resourcing, capacity and skills – groups acknowledged that there would be extra work needed both to share or open their own data and to make good use of other published data and open data. For groups that do not already have significant data collection, management and analysis in their operational model this is likely to be the biggest challenge. And at a time of increased demand and reducing income, the benefits to the frontline delivery of any additional work need to be much clearer. When seeking to open data from all public service-providing organisations it is important that all suppliers are treated the same but that requirements are proportionate and reflected in funding arrangements. And the additional costs will need to be reflected in funding and commissioning arrangements. 5. Much of the work around opening data will take place at a local level – this is almost entirely absent from the consultation. Leadership on the local element is key. While understanding the principle of Localism, it is extremely telling that there is little or nothing in the consultation about the local element of this, and that CLG’s Guidance on Local Government Code of Practice on Data Transparency came out separately to Cabinet Office’s consultation. It is essential that CO and CLG work better together on this issue. Areas like Brighton are embracing the open data agenda, but, more is needed on clarifying what we mean locally by open data, setting out a collective ambition and starting conversations on how to get there. We should also remember that this is not separate to existing work on understanding our local areas and neighbourhoods, and to improve services. There is a need for local leadership to turn general commitments into a strategy that complements work on city-wide intelligence or data stores, broadening sources of data for needs assessments; uses local government leadership and purchasing power to stimulate social uses of open data, and links the VCS and communities to the tech and developer community. Clear and ambitious leadership from the Local Government Group, and from CLG on this is essential. SOLACE, LGIU, and many other local government think tanks could also contribute. Awareness: Most of the groups we worked with on the DataBridge project were aware of the concept of open data in terms of opening-up access to additional data held by public bodies. However, there was a disconnect between this general perception, and understanding how the open data agenda might help their work specifically. Groups tended to list all the information they believed that local government holds that would be useful to them, plus a longer list of information they wished local government held. There is a limited understanding outside of local government of what specific datasets exist within local government. Work emerging from Department of Communities and Local Government on a Code of Recommended Practice for Local Authorities on Data Transparency includes ‘an expectation’ of a local Inventory of Public Data. Local level creation of a useable, accessible local inventory of public data will be useful, but must bear in mind a range of users and levels of technical skill. This could build on existing local work e.g. the Brighton & Hove Open Data list and Brighton & Hove Local Information Service. As well as listing published data, it would be helpful to list the main data-sources held internally that are not published. Some groups were sceptical about the value of open data at all because of the problems they see with existing datasets. For example, the issue of LGBT disclosure, recording of LGBT status and consistency of approach between services. Risks: Loss of advantage or independence – questions were raised about sharing data in a more competitive environment, especially in terms of competing with other organisations or private providers. 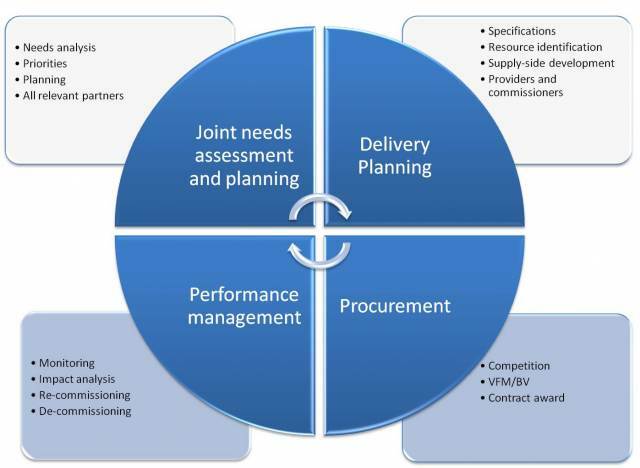 This is made more complex by a commissioning environment which is in some cases moving towards preferring collaborative or consortia bids. In this situation, sharing data is seen by some as giving away one of their key assets and potentially risking the independence of the organisation. 7. We need to make better use of the data we have – and in some cases, support people to do so. A signposting and support resource would be exceptionally useful here. Using what’s already available – The groups we worked with on this project often struggled to find existing data sources. For example, several groups requested data on populations they work with. In many cases, they are aware that information is available, but is difficult to find (and some highlighted that it is was complex to use). There is a dual need here, for better awareness of existing sources with support to use them, and for the VCS to focus more on data and analysis as part of their core business planning and management. Local Information Systems exists in most areas as a repository of local data, but are of varying quality and in many cases do not currently serve VCS audiences very well and does not include VCS data. Data held by VCS – each group in the project highlighted data they held that could be useful for other organisations in the city, and potentially be published. While there is the option that this can be included in any data store or platform established by the City, there will be a great many questions to be worked through in the development phase. There will always be differences between quality and robustness of data, but it is important for decision makers to be open to understanding and using all the data we have, especially for service planning and commissioning. For example, information on emerging or future needs is inevitably going to be less robust than historical information on service use, however both are important in the context of commissioning. CLG should consider commissioning a support resource to help voluntary organisations make better use of the data and research currently available. 2 LGA (2010). Single Data List Consultation: LGA response.